What is a blended school? A blended school is a school that combines online learning with in-person teaching. Our tuition-free, public school allows each student the opportunity to succeed using his or her own individualized way of learning. Students have the option to take a full array of online courses coupled with onsite teacher support in a school building during regular school hours, Monday through Friday. Who can enroll in Hill House Passport Academy Charter School? Pennsylvania students who are at least 17 but under 21 years of age, have previously withdrawn from high school, and have completed enough credits to graduate from the program before turning 21 may apply to Hill House Passport Academy Charter School. While first preference in enrollment is given to students residing in Pittsburgh, all PA students who are at least 17 but under age 21 years of age who qualify for high school are eligible for admission. Transportation to HHPACS may be provided by students' local school districts if those districts transport their own students and the district's border is within ten miles of HHPACS. Does this school meet state standards? Yes, this is a public charter school that participates in all state mandated testing. Students are required to be onsite at the Hill House Passport Academy Charter School (HHPACS) five days a week for three hours. Students are required to attend either the morning session from 8:30 AM to 11:30 am or the afternoon session from 12:30 PM to 3:30 PM. Students must then complete two and a half hours of schoolwork independently, either onsite or at another location of their choosing. English, math, science, and history are the core courses. Students also have access to a comprehensive catalog of elective courses that include web design, public speaking, digital arts, and journalism. What if a student falls behind? Class sizes are small and will vary based on student needs, as determined by regular assessments; students who need more support in mastering a subject will receive that support while more advanced students are challenged to take their learning further. There are two certified teachers in each classroom to ensure a low student-teacher ratio. Individualized learning paths are created for each student and are re-calibrated and updated on a weekly basis by teachers, based on real-time data that is available through daily, unit, and semester assessments. Does HHPACS provide textbooks and other instructional materials? Yes, we provide the textbooks and instructional materials that are needed to complete the program. A computer will be loaned to students to help facilitate the independent online instruction onsite at the school facility. Families will need to provide common household items such as paper and pencils. Will students have the same graduation opportunities as students in traditional public schools? Yes. We are a public school in Pennsylvania, so students can earn a diploma through Hill House Passport Academy Charter School based upon successful completion and mastery of course content. The pace of the program is flexible, but important benchmarks must be reached within certain timeframes, including earning a minimum of 5 credits per year (or 2.5 credits per semester), completing state and school-required assessments every year, and demonstrating academic gains for each semester a student is enrolled in the program. Workshops, ongoing development, and face-to-face tutoring are available to assist students in reaching these important benchmarks. Students have a chance to do many collaborative activities, including science experiments, literature discussions, and providing feedback on written work. 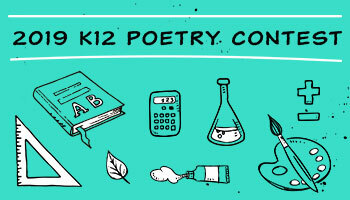 Throughout the year, students are invited to participate in school outings (e.g., basketball games, college tours, poetry slams) and other social events. How do students work together and socialize in a blended classroom? Each student is assigned a classroom instructor or breakout session with a teacher and other students. Students are highly encouraged to ask their classmates for help during the school day. Students also participate in project-based cooperative learning. What physical education, music, art, and extracurricular activities do you offer? Students have many opportunities to interact both socially and academically, just as they would in any other school. In addition to classroom interaction and socializing during the school day, we will determine initial student interests and ideas for additional clubs by a survey distributed as part of orientation activities as well as during welcome meetings. We will assess student interest before making a final decision on which extracurricular programs the school plans to offer. Do you serve school meals? HHPACS provides free breakfast and lunch to students onsite. Where do your graduates go after graduation? HHPACS graduates will have every opportunity for college and career readiness afforded to any student who obtains a diploma from high school in Pennsylvania. How do you serve special education/special needs students? As a public school, we comply with Federal and State mandates requiring the provision of Free Appropriate Public Education regardless of a child's disability or the severity of the disability. 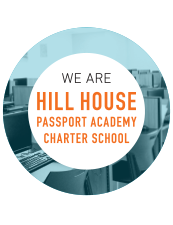 The Hill House Passport Academy Charter School strives to identify, locate, and evaluate students who are enrolled and may have disabilities promptly so their needs can be met. Disability, as defined in IDEA, may include such conditions as hearing, visual, speech, or language impairment, specific learning disability, emotional disturbance, cognitive disability, other health or physical impairment, autism, and traumatic brain injury. Through our Child Find process, we identify students who may qualify for special education services. Depending on a child's IEP, we can adapt and tailor our educational program to meet their needs and provide the most appropriate educational services. Will students that enroll in HHPACS still be eligible for Pittsburgh Promise scholarships? Students who attend charter schools are eligible to participate in the Pittsburgh Promise as long as they meet the other criteria (including and not limited to residency and attendance requirements). Does the HHPACS provide transportation? No, according to Pennsylvania charter school law, transportation is provided to students who live within a ten mile radius of HHPACS by the school district in which they reside, provided that the school system transports their own students. Almost all of the school districts within a ten mile radius of HHPACS, including the Pittsburgh Public Schools, provide transportation for their students and therefore provide transportation for our students. In cases where the school district of residence does not provide transportation, HHPACS will provide bus passes. HHPACS will also provide bus passes for students for use during the time while they are waiting for their school district to issue them a pass. How will HHPACS accommodate students who do not have the necessary internet access at their homes to complete online coursework? In addition to providing students extended hours in which to use a full-service computer lab at our school we are currently researching ways to offer students discounted rates for home internet access. Will a 21-year-old applicant be accepted? Applicants that turn 21 years of age during the school year will be accepted into our school on a case by case basis. Since many students will be coming to HHPACS to recover credits that they did not receive at their previous schools, will their final diplomas say the name of their previous school or “Hill House Passport Academy Charter School” on them? Since we are an accredited public charter school that requires students to only attend HHPACS while pursuing their diplomas, the award will be granted by “Hill House Passport Academy Charter School.” Please keep in mind that our diploma still carries the same recognition as those from all public schools in Pennsylvania. Does HHPACS only serve low-income students that live in the Hill District community? HHPACS is designed to help all Pennsylvania students who are at least 17 but under the age of 21 who have not been able to finish their high school education get back on track and earn a diploma. We are here for students who need a second chance and a fresh start.